Depending on the day, that sounds about right. 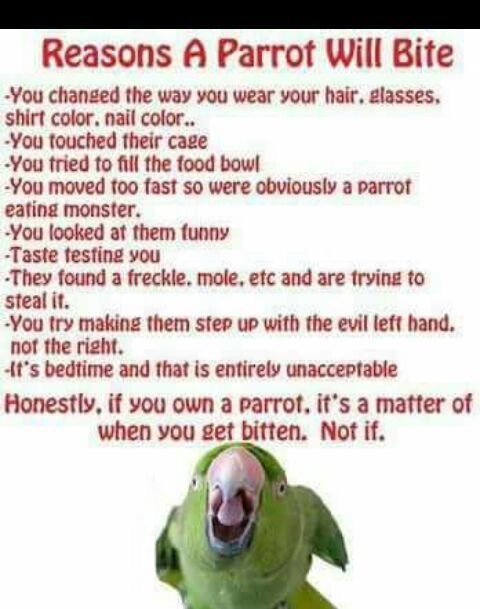 ESPECIALLY for people that my bird isn't obsessed with. She lets me get away with a lot and she lets my dad get away with even more (even though they have spent a collective time of 1 month together, if you combine all of her visits to my parents house-which is nothing compared to the amount of time I have spent with her day-to-day). I get bitten on purpose maybe once every 3 months, but she will test new people like no other (and bluff and jerk around---justto see what they do). Early on, I was bitten much more. Last edited by noodles123; 01-20-2019 at 12:54 PM. The better the Humor, the deeply it is rooted in the Truth! 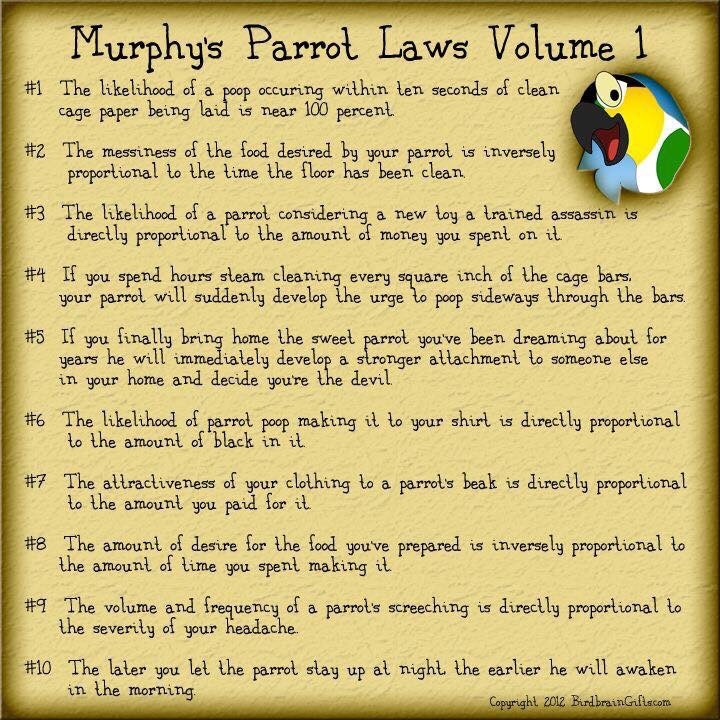 And, with Parrot Humor it is a 100% true! Great Thread, Thanks for the smile and laughter. 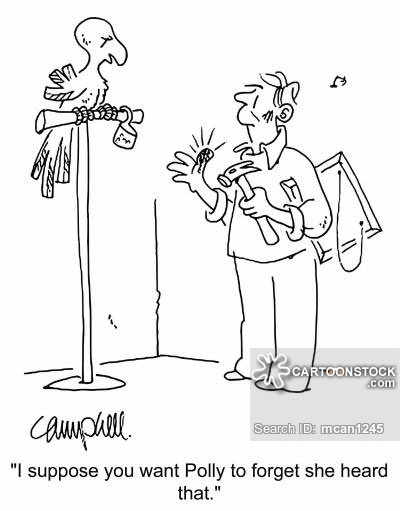 Also good reason Why parrot owners don't need paper shredders?